Many people who play the lottery within their state often think of what they would do if they were to win big through the lottery. Imagining having all of their numbers picked as part of the random drawing, they envision large sums of money coming their way and quitting their day jobs to pursue a life of luxury. For people from foreign nations who wish to live and work in the United States, there is a lottery that may not earn them a lump sum of millions or the house of their dreams, but they will be a step closer to their vision of achieving the American dream. There are restrictions on the countries of origin of people that can enter into the green card lottery as well the time of eligibility to enter for a Diversity Visa and the number of people who will eventually become a green card holder. First, there is the issue of how many; 50,000 applicants will be successful to earn a green card through the lottery provided by the United States government, which is conducted once a year, usually towards the last quarter of the year. 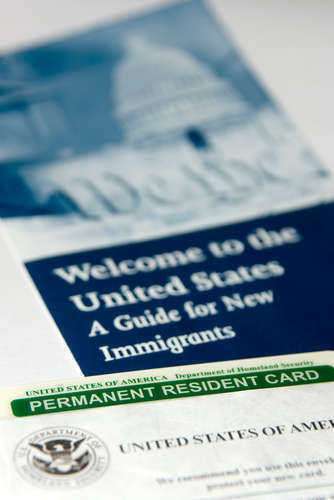 Second, there is the issue of who may apply: the green card lottery is only open to applicants from countries from which low numbers of immigration to the United States are annually tallied. Naturally, this would tend to preclude larger countries and countries with many residents. Canadians, Chinese, Indian and Japanese immigrants are among those typically ineligible become a green card holder through the DV program. Also, there are restrictions on the types of workers that will be acceptable in the application for a green card; not just everyone will be capable of submitting a ticket to the green card lottery, though millions of people eager to be a green card holder will apply each year. Even with all the potential restrictions and the simple fact that one could possibly invalidate their ticket if they are not careful with the details of their application, the green card lottery is particularly notable for not excluding people on the basis of economics. Although potential winners are still subject to visa processing fees if they become a green card holder, there is no fee to enter, which should encourage some tentative applicants to try their luck with the Diversity Visa lottery. Also laudable are the low wait times considering the wealth of applicants. Possibly, a winner could find out in less than six months that they were successful in their bid.